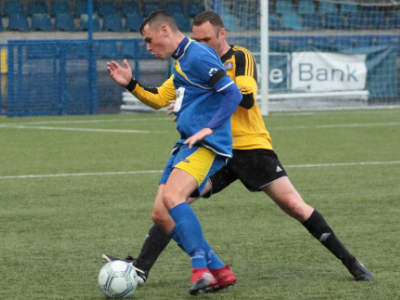 Bangor ran out comfortable winners in their opening pre-season fixture against Lower Shankill on Wednesday night. 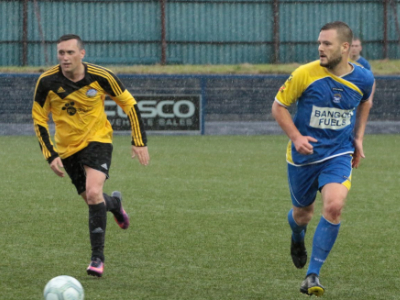 A new era for the club began at a wet Bangor Fuels Arena and neither side could find a way through in the first half. 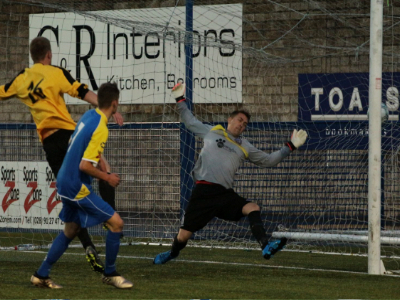 The Seasiders did come close through Keith Armstrong and Kyle Woods while at the other end Darren Gibbons was alert to deny Scott Campbell from distance. All the goals came in the second half with new signing Niall Atkinson finding the top corner from 16-yards a minute after the restart. 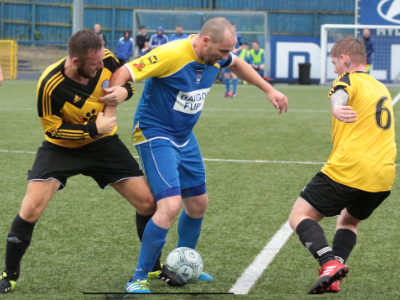 Bangor substitute Liam Conlon grabbed a brace as the Seasiders seized control. His first strike capitalised on a defensive slip while his second was a low drive into the bottom corner from the edge of the area. 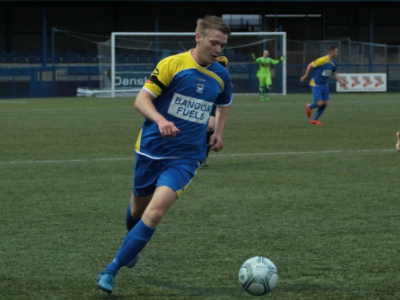 Bangor found their swagger and the impressive Niall Atkinson almost grabbed the goal of the night but his audacious chip rebounded off the crossbar. 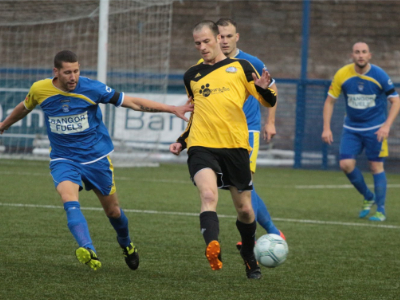 The Seasiders notched up their fourth goal of the game through substitute Ally Ferguson before Clarke Lennox scored a consolation goal for the visitors. Gibbons, Justin, Bowers, Williamson, Edgar, Armstrong, McArthur, Atkinson, D Beattie, Woods, Craig. 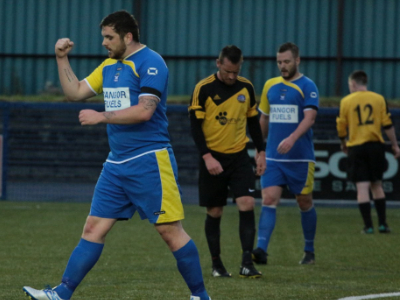 Bangorfc.com spoke to Assistant Manager Ross Williams after the victory over Lower Shankill. "Elements of the match were very impressive. The boys have been working hard in training and that showed. The score line was a fair reflection of the game. Even though we were level at the break, I thought we were well in control and we were disappointed not to be in the lead. The match served its purpose in helping build match sharpness." "We were missing five senior players tonight including our captain Andy Long through injury. We have worked with a core group of players so far but as more return from holidays we will be able to see a settled side in our upcoming games. We are also still on the lookout to strengthen our squad through quality additions." "We were able to use 18 of the 21 players we had tonight including some of our Under 18s and Under 20s. That link up with our youth structure is important for the whole club." "Linfield will be a different proposition this Saturday. As a club we look forward to welcoming the champions to the Bangor Fuels Arena. As a team, we will try to make the match as competitive as possible and it gives our players the chance to show what they can do against a side like Linfield." 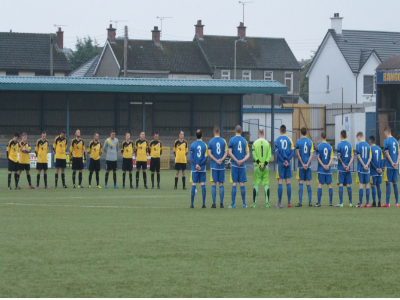 A minute's silence was observed before the match in memory of Gavin Moore - a Castle Juniors coach who died last week.